GPM Locks Ltd have offered home security advice now for almost a decade. One of the key bits of information I like to tell everyone is how important it is to secure your home but also know how to get out in an emergency. Where do you keep your keys at night? Do you keep the keys kept in the same place? Last year saw 39,600 dwelling fires, 88% of which were accidental. Accidents happen, but ultimately, they are avoidable. 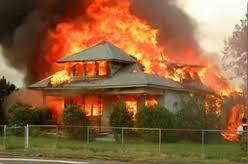 – In 31% of domestic fires there was no smoke alarm. – In 19% of domestic fires a fire alarm was present, but it was not operational. Many people wrongly assume that the prime cause of death from a fire is burning. Death is mostly caused by inhaling the toxic fumes produced by the flames. Now, this is by no means saying that all of the reasons were because the person/s in the household could not find their keys, but a percentage will be. If you wake up in the middle of the night in a smoked filled room. Make your way to the door, but the door is locked! Having only seconds before you are over come by smoke. New house builds nowadays have a lot more safety precautions. However there are a lot of doors that still require their door to be locked by key from the inside. 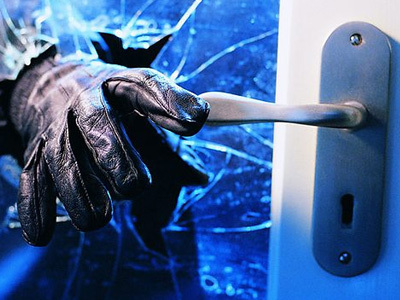 In 2013, Milton Keynes alone recorded 1,667 burglaries. That is an average of 139 per month With the latest Thames Valley Stats showing a 9.1% increase in 2016/2017. Making sure that the security of your house is at it’s best is paramount. I don’t have the exact figures from these burglaries but you will all have heard a story of a burglar managing to reach in through a letterbox or cat flap and hook the keys for the house or the car from either the keyhole itself or a nearby table etc. The Police advice locking the door and putting the keys in a “safe place” or taking the up to bed with you. The fire service advice locking the door and leaving the keys in the door. So where do you keep your keys? Securing your keys in the correct place is one of the most important things to do. You are locking your door at night to protect your family from the outside world. But you do not want to create a prison for them! When advising on the best place to leave your keys I will always start by suggesting a hook screwed into one of the top corners of the inside of the door itself. This is known to all in the household. Even guests as it’s almost impossible not to see or hear them when opening and closing the door will know where the spare key is. But most importantly it is almost impossible for a burglar to get to. They cannot see the key, reach the key and more importantly if there was ever a fire and the smoke makes it difficult to see. You will know where this key is kept. I would advice that this is a spare key that always remains on its hook. If you do not like this idea. keep the key out of sight of windows. Close to the door and can be easily grabbed in the instance of a fire. For those of you who are insistent on leaving your keys in the lock. If you turn your key past the point of locking the door and leave it as far as it will go it will not easily come out of the keyhole.